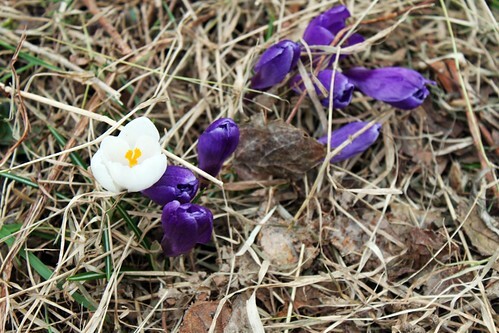 Brittany at Real Sustenance is hosting a great blog event this month called April in the Raw. I was thrilled when she asked me to participate. All month long, bloggers will be posting about their experiences with raw food and sharing raw and raw inspired recipes. Be sure to check out the April in the Raw home page to see all the posts and recipes from other participating bloggers. Sometimes the raw food culture can seem intimidating. The soaking, the sprouting, the dehydrating, the mixing, the requisite dehydrator, the frequent expensive (and often imported) specialty ingredients - it can be overwhelming. Don't get me wrong, I'm not attacking the way that many individuals choose to incorporate raw foods in their life. I like a young coconut and a raw flax cracker as much as the next person. But when it comes to incorporating raw food in my diet, I prefer to take a more simplistic, more local approach. I am privileged enough to choose the foods I eat each day, and I want to make sure that my choices support my health, my local economy, my values, and the overall well-being of the individuals, animals, and land that produced them, whether I'm making a raw vegan meal or roasting a brisket. Simple salads and slaws, raw cultured vegetables and sauerkraut, smoothies, fresh green juices, sprouted chickpeas and homemade broccoli sprouts - these are my favorite way to eat raw foods. I eat raw foods most in the spring and summer, when produce is fresh and the temperatures are warm. In autumn and winter, as temperatures cool and my body needs to expend more energy to stay warm, I stray from eating as many raw foods and incorporate more cooked vegetables. I find I feel best when I connect my dietary choices to the season, so that's what I do. As a smoothie addict and lover of salads, my excitement for warmer weather - and all the food that goes with it - is pretty intense. With warmer weather approaching - raw foods season! - try including something raw at each meal. Maybe it's a handful of carrot sticks, maybe it's sprouts on your sandwich and an apple on the side. As you get more comfortable, maybe you'll sprout some seeds or become a smoothie addict or make homemade sauerkraut. Maybe you'll even decide to get really ambitious and venture into the world of raw lasagna, raw "bread", and raw cookies. Or maybe not. Either way, your health and tastebuds will thank you. 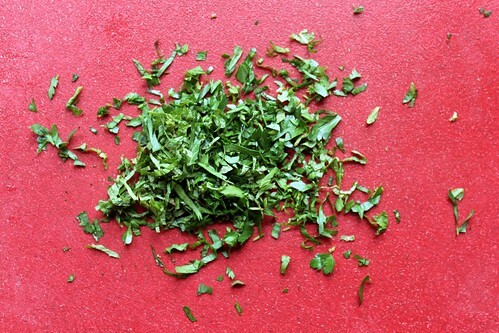 This salad is an easy raw recipe that you won't even think of as "raw". Cabbage, carrot, and radish are all great transitional foods from winter to spring, and the light flavor and crunchy texture of this salad will wake you up. It's also perfect for your spring detox or cleanse. 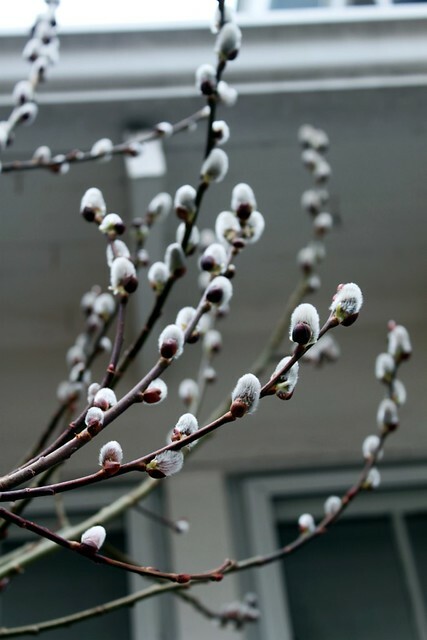 Spring is a time of renewal and rebirth, the ideal time to shed old habits, toxins, and negative thoughts. Incorporating more real, whole, raw foods will help your body purge all that junk it doesn't need, and leave you more energetic for a summer of fun. One needn't have a strong identity as a raw-foodist or be a magnificent "un"cook to enjoy raw foods. Eating raw foods doesn't need to be expensive, intimidating, or all that time consuming. You don't need super expensive or special equipment. All you need to do is find access to fresh produce, have an open mind, listen to what your body wants, and enjoy eating. This is a simple salad that can easily be made any time of year, as radishes, carrots, and cabbages are often available locally in many places through all seasons. 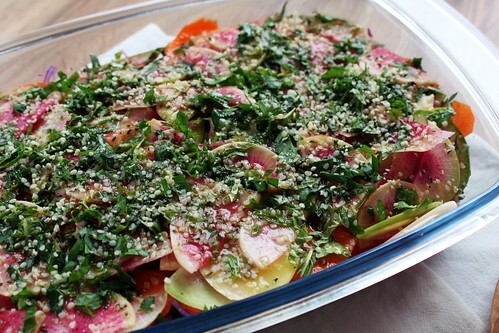 I used Beauty Heart radishes in this salad, a large variety of radish that is pale greenish white on the outside and a gorgeous shade of fuschia inside. 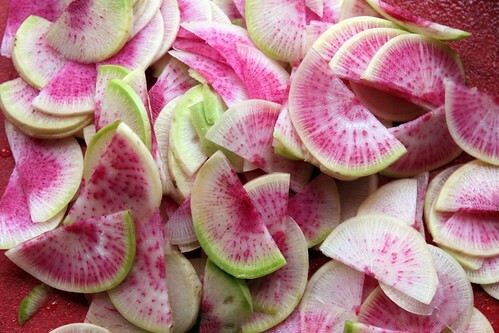 If you cannot find Beauty Heart radishes, feel free to use 10-12 regular globe radishes, or another variety of smaller radish. Prepare vegetables as directed and prepare dressing. Layer in a large, shallow dish by placing cabbage first, then carrots, then radishes. Drizzle evenly with about half the batch of dressing. Refrigerate for 3-4 hours to marinate. 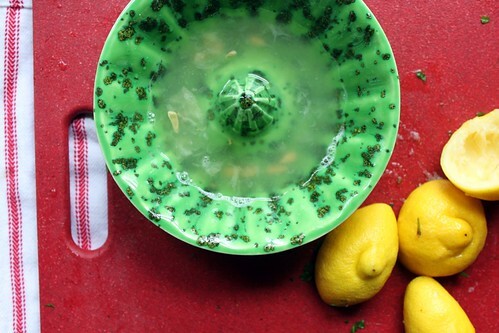 Remove from refrigerator 20 minutes before serving, then sprinkle on herbs and nuts/seeds. Serve immediately. Combine in a jar and shake vigorously to mix. Store in the fridge when not in use.